8 oz. 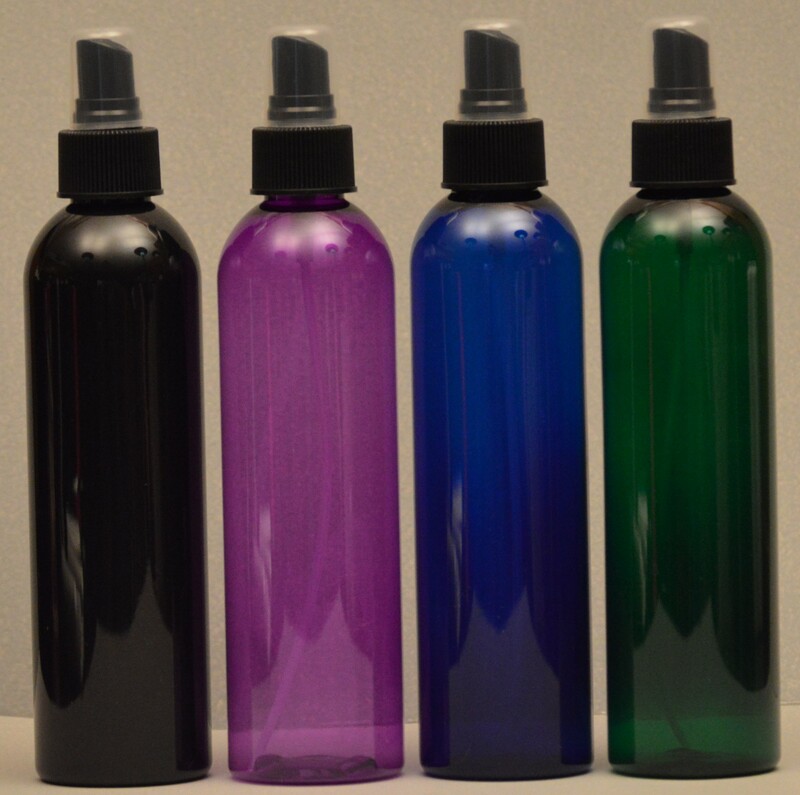 Bottle with squirt pump or spray pump. 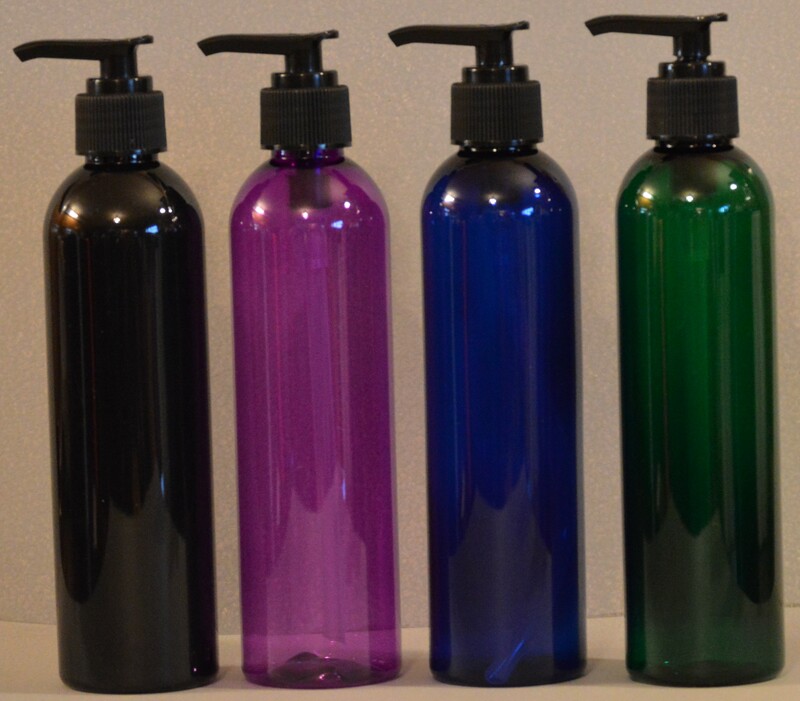 PET Bottle in Black, Purple, Cobalt Blue or Green with choice of black or white squirt pump or the black or white spray pump that have a clear overcap. (Note: these are not foamer pumps). 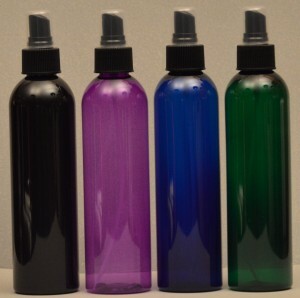 8 oz Black, Purple, Cobalt Blue or Green PET bottle that fit the Squirt Pump or the Spray Pump (with clear overcap). 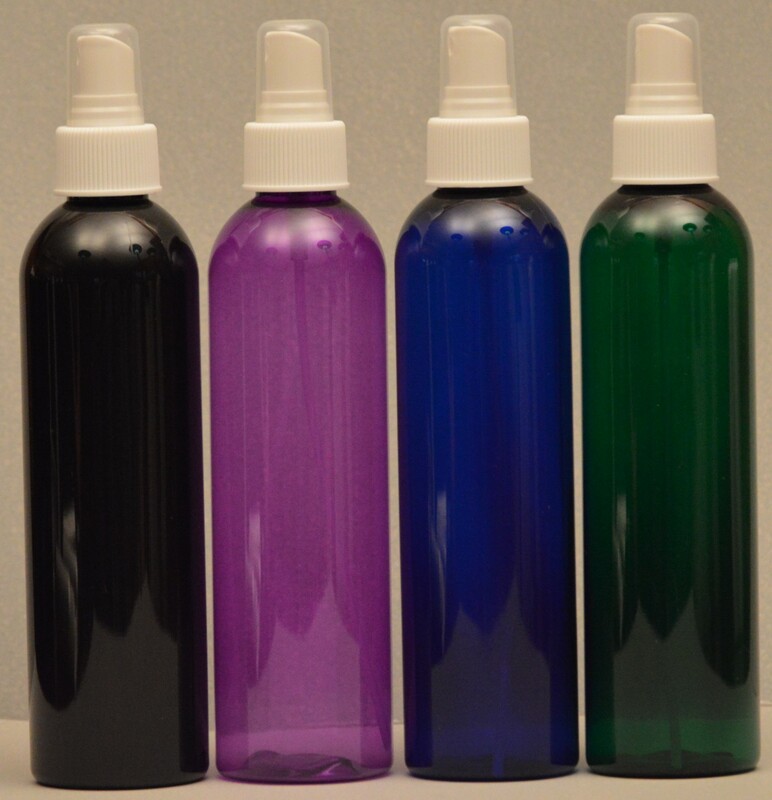 Height of bottle without saddle pump is 6.75". 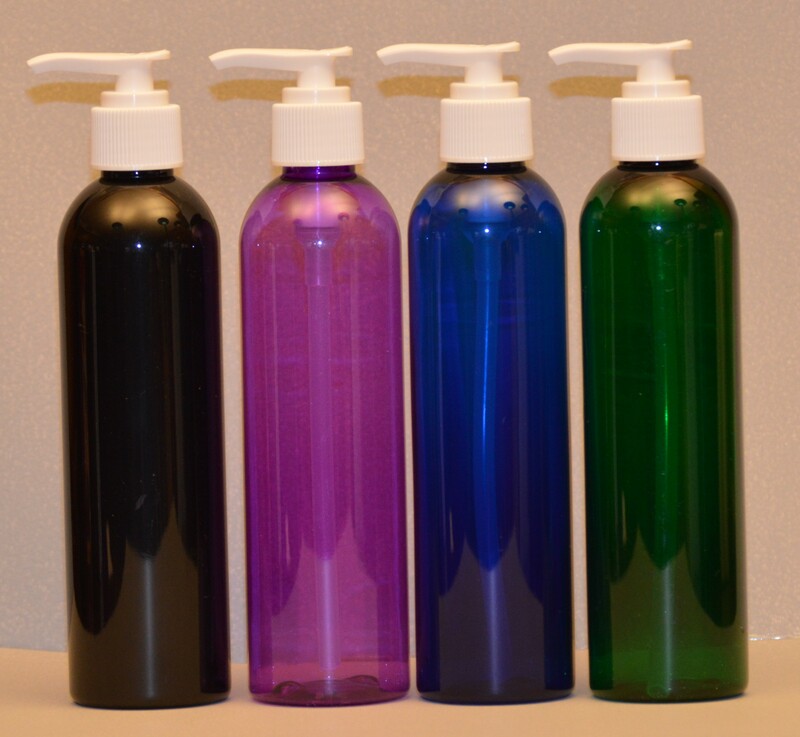 With squirt pump locked the overall height of bottle and pump 7.50" and squirt pump unlocked overall height is 8.25". 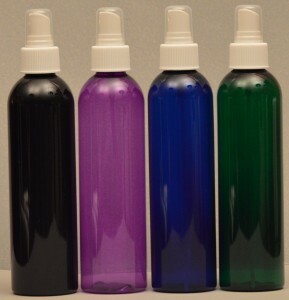 Overall height of bottle and spray pump with clear over cap is 8". 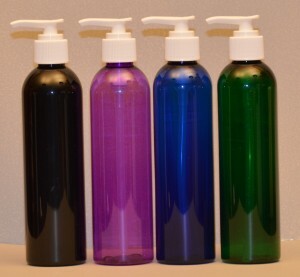 Squirt pumps are great for lotions, liquid soaps, body washes, shampoo etc. 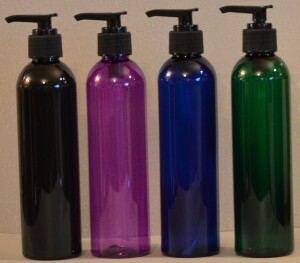 ; and spray pumps for body sprays, perfumes, hair spritzers, pet care products and many more uses. Requires only one hand to use so great for convenience and easy to be frugal using only one squirt/spray per application. (These are not foamer pumps).